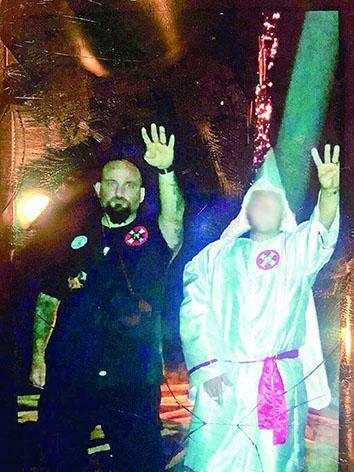 Louisiana police officer fired, KKK rally: Raymond Mott threatens legal action. Raymond Mott in Ku Klux Klan clothing. “I have never even had a negative write-up in my file since my start in law enforcement as a reserve in 2006,” Mott told the Jennings newspaper. “I am not going to quit my job because I made a decision to support a cause I thought was right at the time - illegal immigration not racism,” he added. A local district attorney says prosecutions involving Mott will be reviewed for potential bias.